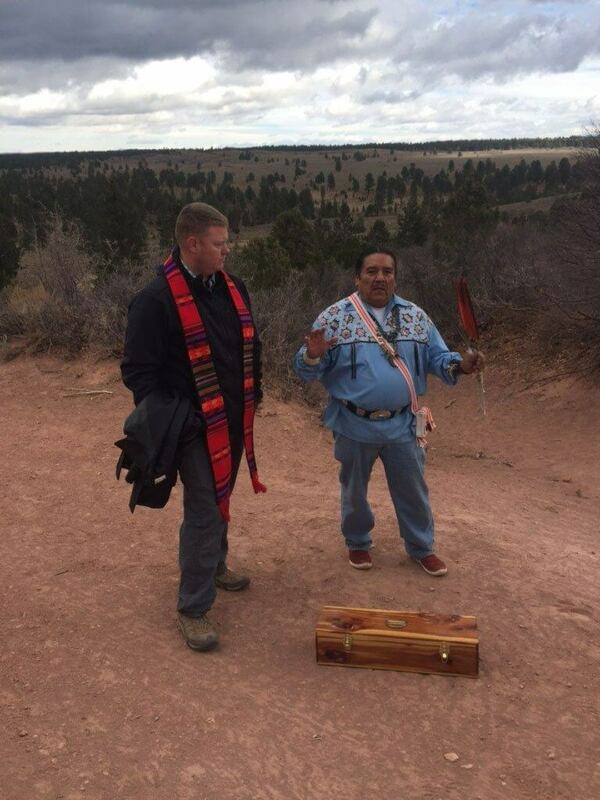 Presbyterian pastors and elders, part of an interfaith religious leadership group in the West, joined forces with leaders of five Native American tribes to protect their sacred sites and save beautiful land in Utah threatened to be opened up to development. 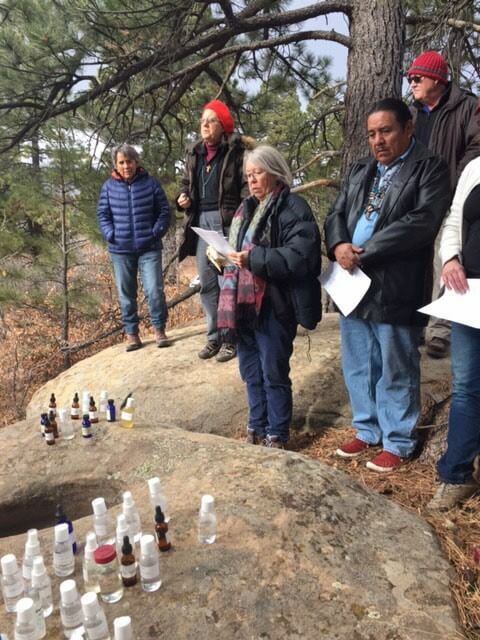 Faith leaders, Christian and Jewish, along with representatives of the Hopi, Pueblo of Zuni, Ute, Mountain Ute and the Navajo Nation came together on Bears Ears National Monument, a 1.35-million-acre protected area in southeast Utah that is sacred to Native Americans, and faces significant downsizing by the Trump administration. The interfaith group decided on this trip, a pastoral presence and a call to action, when it was announced by U.S. Senator Orrin Hatch’s office that President Trump plans to make an early December trip to the area to announce he will both downsize and diminish conservation protection for Bears Ears, along with Grand Staircase National Monument, and possibly other public lands. Conrad M. Rocha, a ruling elder in the Presbyterian Church (U.S.A.) and Stated Clerk/Synod Executive of the Synod of the Southwest, echoed the hope of those gathered to lend our voices as privileged Americans to the voices of our beloved Native American siblings, closest to this land who are being ignored. 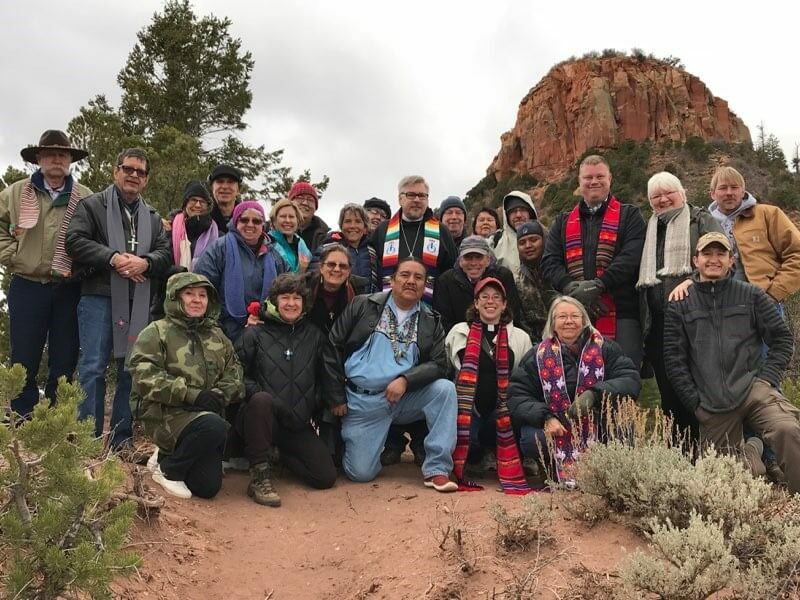 This ‘Coming Together to Protect America’s Sacred Places’ brought Indigenous spiritual leaders from Bears Ears Inter-Tribal coalition together with Jewish rabbis and Christian clergy (from PCUSA, ELCA, UCC, Lutheran and Catholic faiths) for a cultural dialogue and exchange about the importance of protecting Bears Ears National Monument and other public lands in America. The group met in Blanding, Utah, to travel together to the monument for hiking, prayer and spiritual reflection. During the trip, a service of healing and blessing at Kigali Overlook was led by Sister Joan Brown, the executive director of New Mexico Interfaith Power and Light, a creation care and climate justice organization. A natural basin rock was anointed with water from 34 locations from around the world. Rocha used water from Fatima, Portugal, a Catholic pilgrimage site. Rocha stated that “this water reminds me that Catholic and Jew, Reformed Protestant denominations and Native American Spiritual leaders, can come together and united seek to save creation which God deemed good.” He noted, particularly, that “in this year in which we commemorate the 500th Anniversary of the Protestant Reformation that we recognize that Luther sought reformation not separation, and so we come together, despite our differences, united in the desire to honor the miracle of creation as it is manifested in Bears Ears”. The faith group is urging like-minded clergy to sign on to a letter to President Trump by Nov. 30, calling on his administration to refrain from diminishing the size and protections for Bears Ears and several other national monuments. On Tuesday Nov. 14, Sen. Hatch’s office indicated that President Trump may cut Bears Ears National Monument by 80 percent of its current size, following the recommendation of Interior Secretary Ryan Zinke, who visited the site in May. Hatch and other Utah Republicans have said the monument created by President Barack Obama under the Antiquities Act of 1906 locks up too much developable land. Bear’s Ears is just one of 27 national monuments Trump asked Zinke to review, and could be one of a half dozen that has boundaries redrawn. The monument, which the coalition of tribal leaders spent years advocating for, is land long considered sacred, and home to thousands of Native American archaeological sites, including cliff dwellings and petroglyphs. The religious leaders, environmental advocates and the Bears Ears Inter-Tribal Coalition want to prevent irreversible damage to those sacred sites, wildlife safe havens, and delicate watersheds.